In Germany, Obama Urges World To Fight For 'Peace With Justice' : The Two-Way Obama also defended his administration's surveillance programs, saying they've struck the right balance between security and privacy. President Obama speaks on the Pariser Platz in front of the Brandenburg Gate on Wednesday in Berlin. Speaking at Brandenburg Gate in Berlin — near the spot where John F. Kennedy made his famous speech almost 50 years ago — President Obama on Wednesday called on the global community to fight for democracy and freedom everywhere. "Our fates are linked," Obama said. "We cannot ignore those who are yearning not only for freedom but also prosperity. And finally let's remember that peace with justice depends on our ability to sustain both the security of our societies and the openness that defines them." In the wide-ranging speech, Obama touched on equality, poverty, war, climate change and nuclear disarmament. It was an idealistic speech that echoed Kennedy. Obama kept referring to Kennedy's "peace with justice" and at one point, Obama used the "Ich bin ein Berliner" line, which is the most famous line from that Kennedy speech. "But that's not all he said that day," Obama said to some laughter. "Less remembered is the challenge that he issued to the crowd before him. Let me ask you, he said to those Berliners. Let me ask you to lift your eyes beyond the dangers of today and beyond the freedom of merely this city. Look, he said, to the day of peace with justice, beyond yourselves and ourselves to all mankind." Of course Obama delivered this speech just as his administration is rocked with questions about the country's surveillance programs, his failure to deliver on closing Guantanamo and his cautious approach toward the situation in Syria. Obama took on all of those things: He said he is still committed to closing the American prison in Guantanamo and that he is confident the U.S. is balancing national security with the protection of privacy. He dealt with Syria at a higher level, saying: "We must reject the lie that those who live in distant places don't yearn for freedom and self-determination just like we do, that they don't somehow yearn for dignity and rule of law just like we do. We cannot dictate the pace of change in places like the Arab world, but we must reject the excuse that we can do nothing to support it." 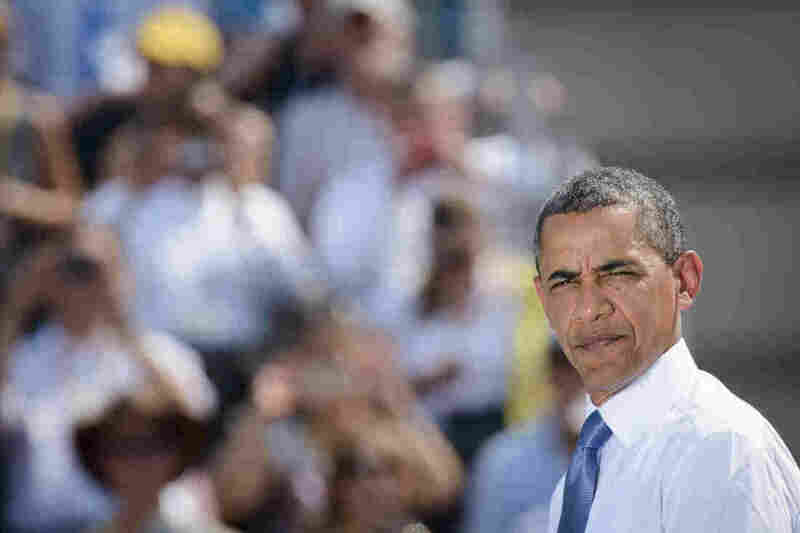 Obama also promised to work with Russia to reduce the two countries' nuclear stockpile. President Obama defended the National Security Agency's surveillance programs today during a joint news conference in Germany with Chancellor Angela Merkel. Obama said that when he came into office, he came in with a "healthy skepticism" about the programs and ordered his administration to "examine" and "scrub" them. Obama said he is now "confident that at this point, we have struck the right balance" between protecting the country and the constitutional guarantee to privacy. As he has on other occasions, Obama described both programs as "circumscribed" and "narrow." At around 9 a.m. ET., Obama is scheduled to deliver a speech at Brandenburg Gate in Berlin. USA Today reports that he will "renew calls for a reduction in nuclear weapons." "Obama will address a crowd of 5,000 invited guests at the historic landmark in the center of Berlin almost 50 years after John F. Kennedy made his famous speech at what was then West Berlin at the Rathaus Schoeneberg (town hall). Obama made a speech as a presidential candidate in the city in 2008." We'll monitor the speech and add highlights to this post.